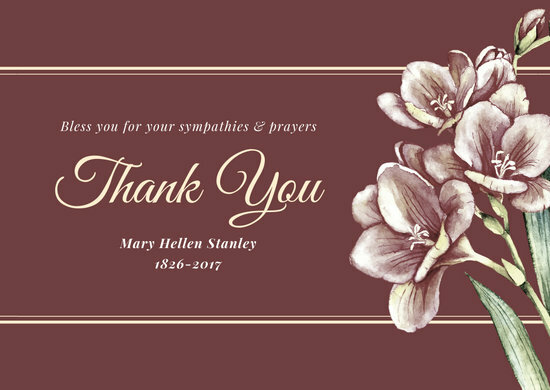 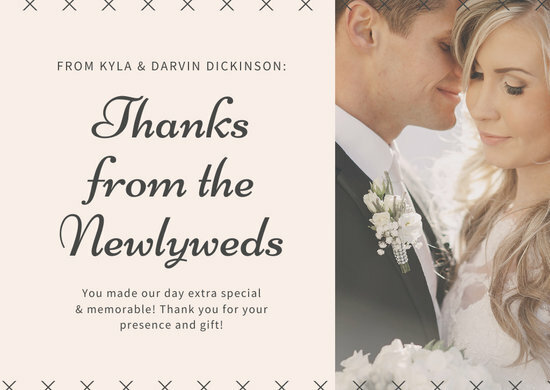 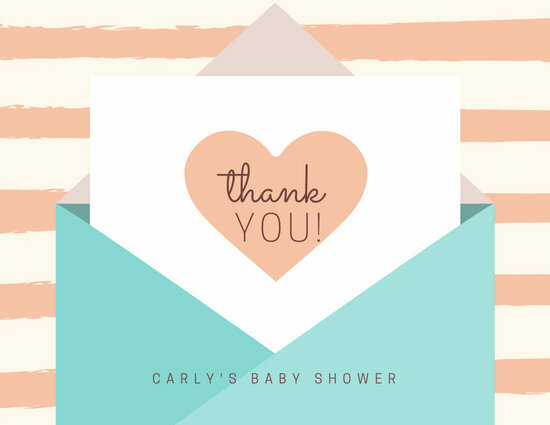 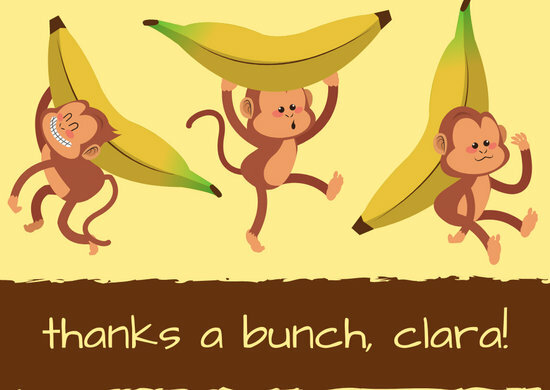 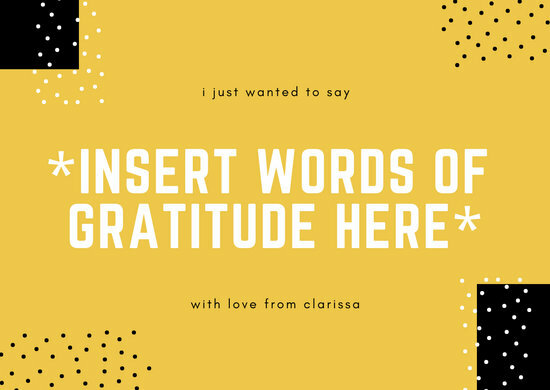 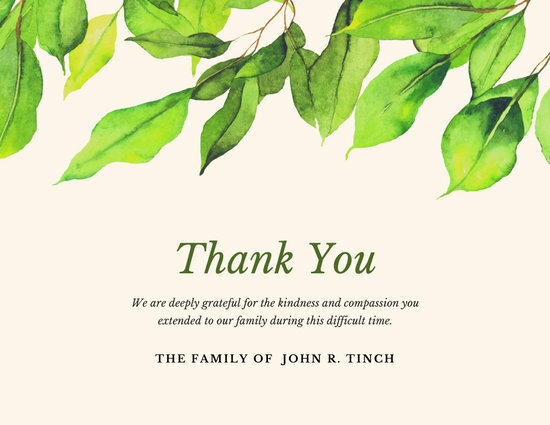 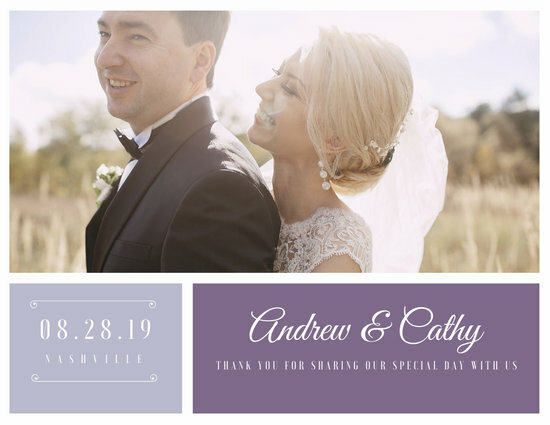 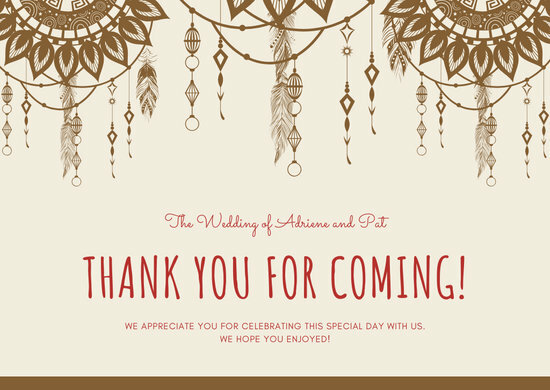 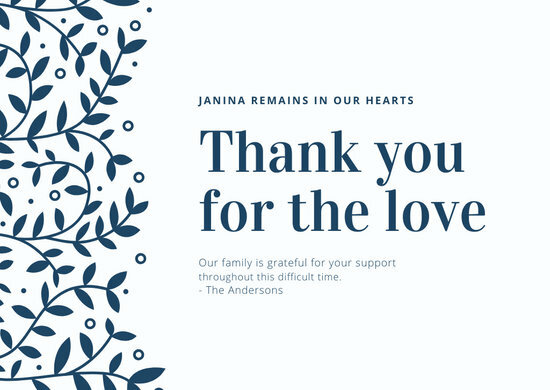 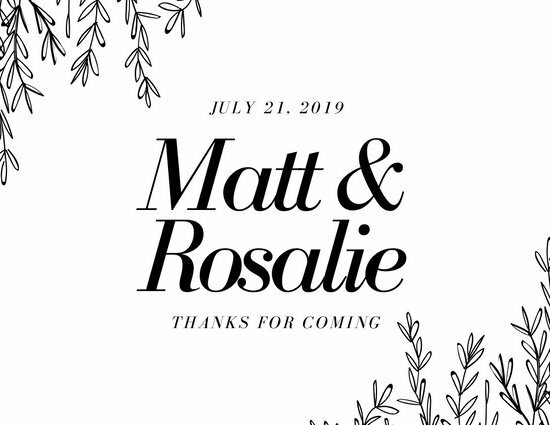 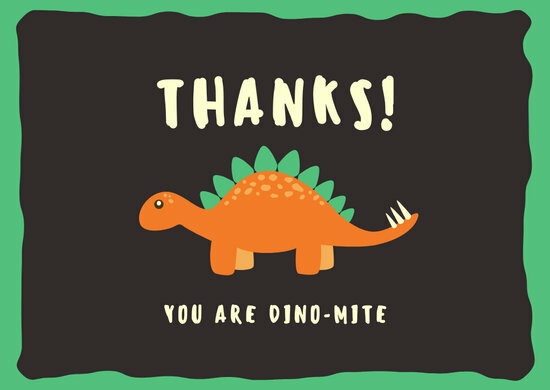 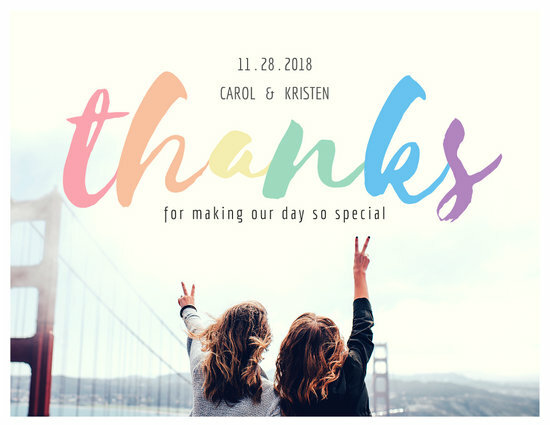 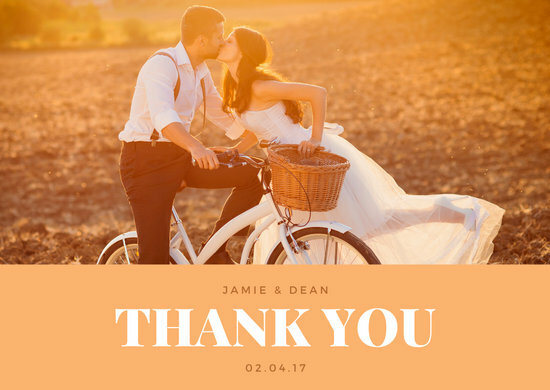 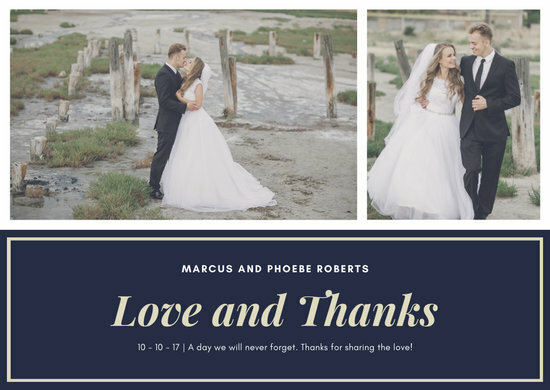 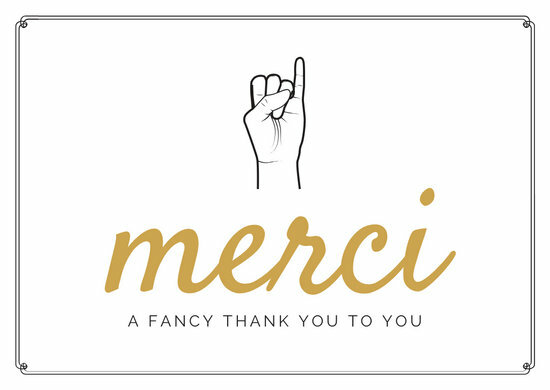 Show your gratitude with our selection of stylish thank you card templates you can personalize in a few simple clicks. 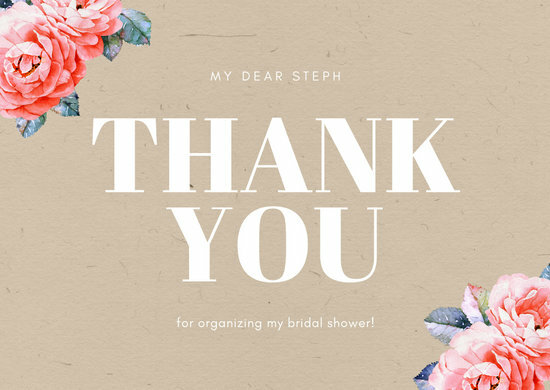 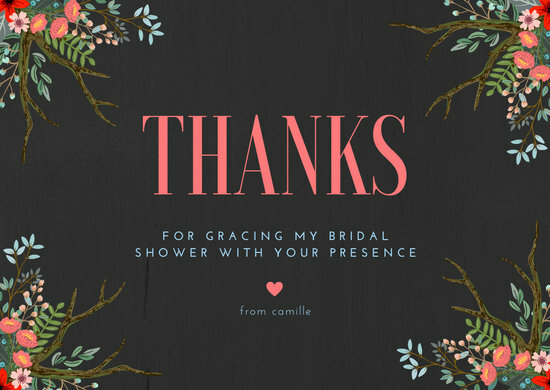 It's not an antiquated form of etiquette, thank you cards remain a staple way of sending your gratitude and appreciation even today. 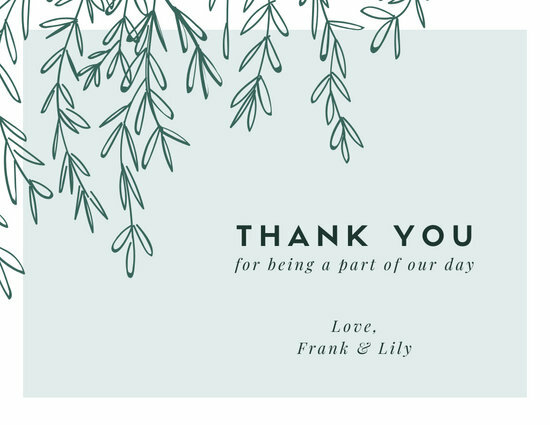 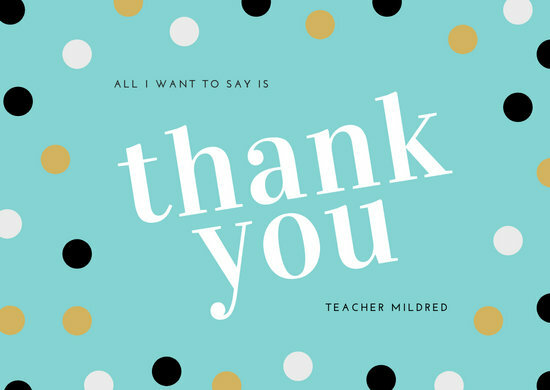 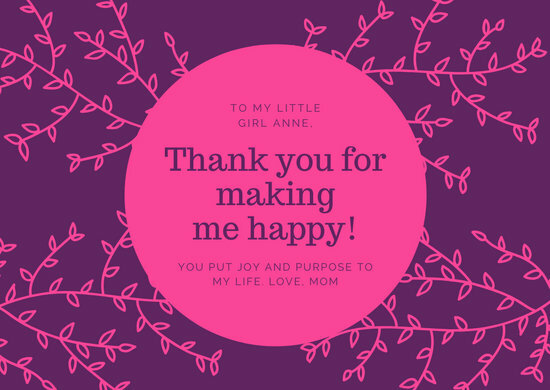 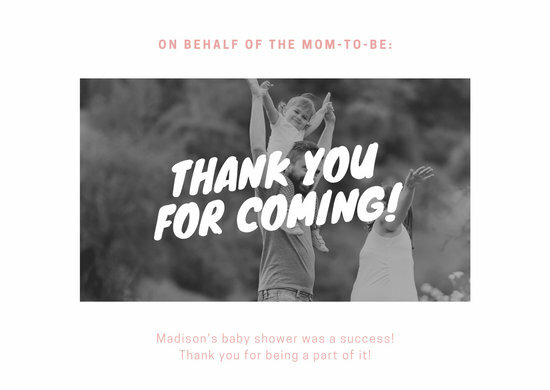 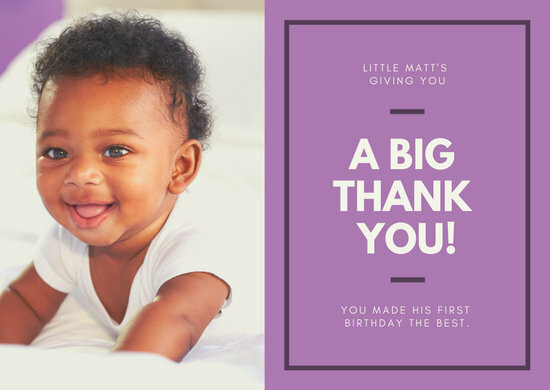 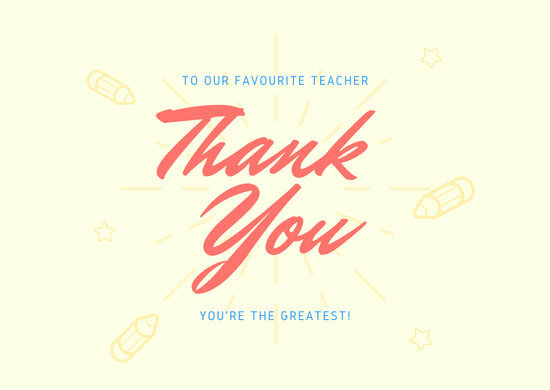 Whether it's to thank someone for a gift, an act of kindness, attendance to a special day, or any number of things, a custom-made, personalized thank you card is sure to brighten someone's day and make them feel valued. 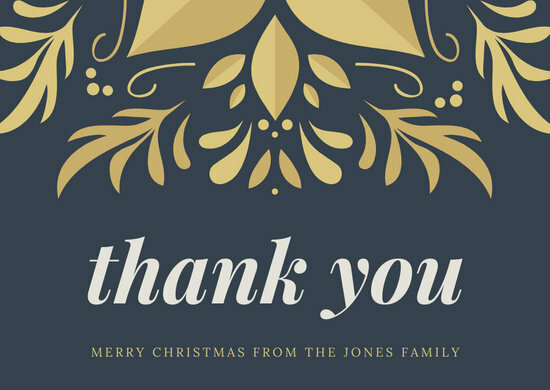 When expressing your gratitude, more personal is better so don't send any old card with only generic greetings and sentiments. 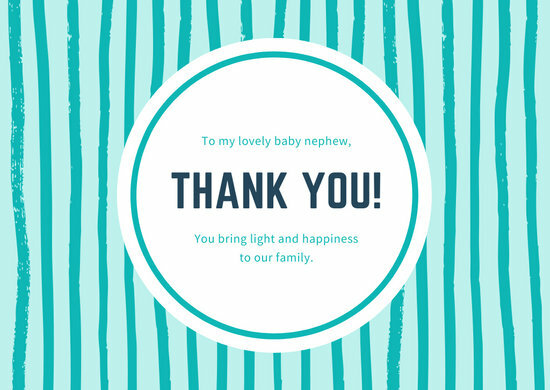 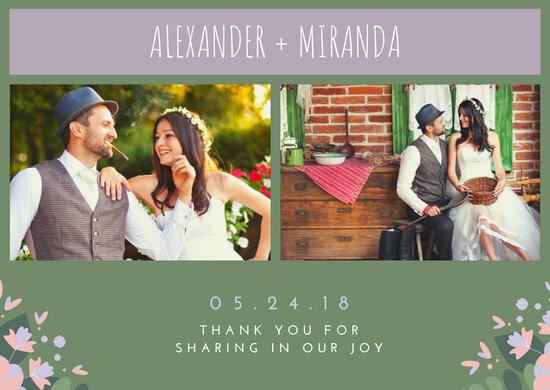 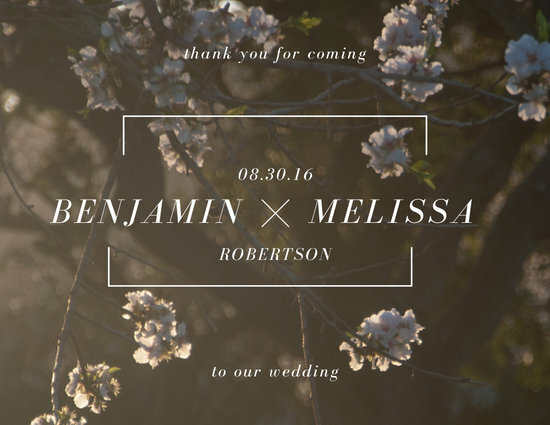 Instead, you can create a personally-styled card in minutes using Canva. 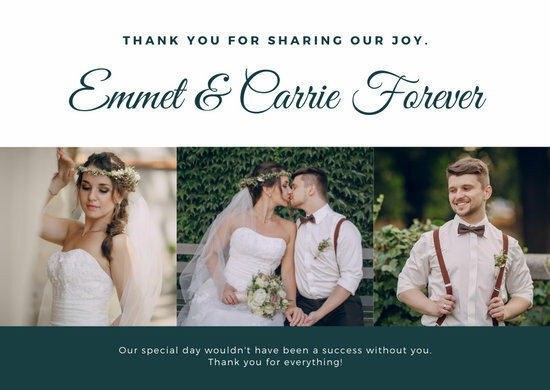 There are over a hundred professionally-designed, pre-made templates to choose from and edit with Canva's suite of design tools. 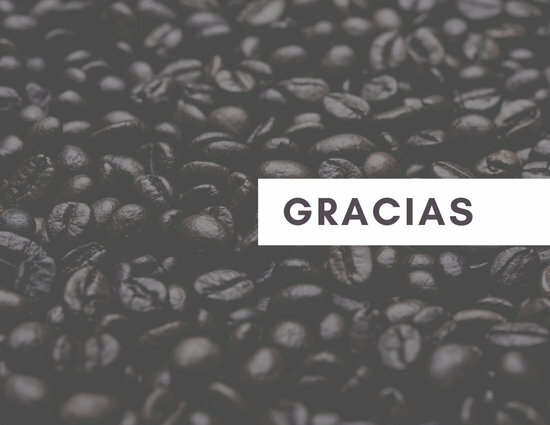 No design experience, no problem! 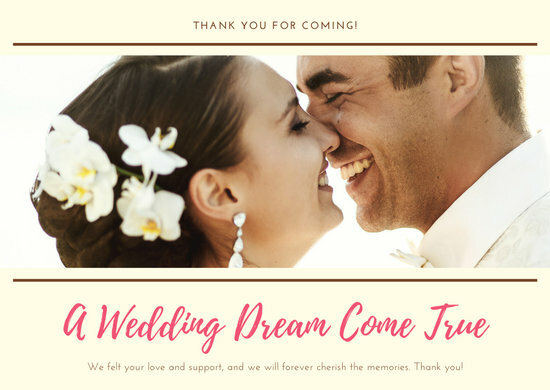 Canva is easy to use even if you're design and tech-challenged. 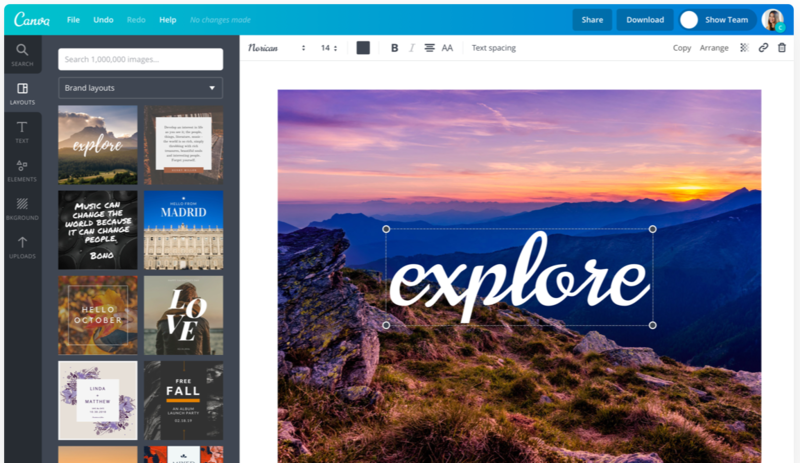 It's as simple as drag-and-dropping the elements you need while customizing colors and fonts in a few clicks. 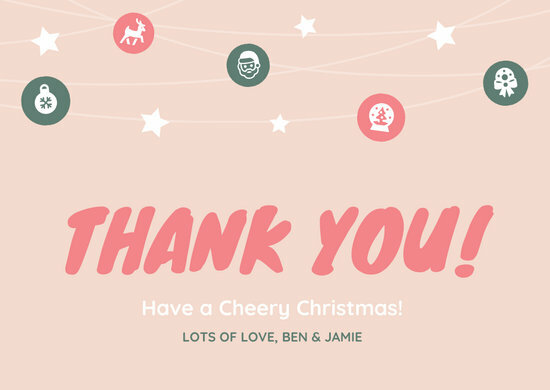 Canva hosts an amazing library of over a million professional stock images as well as vector illustrations. 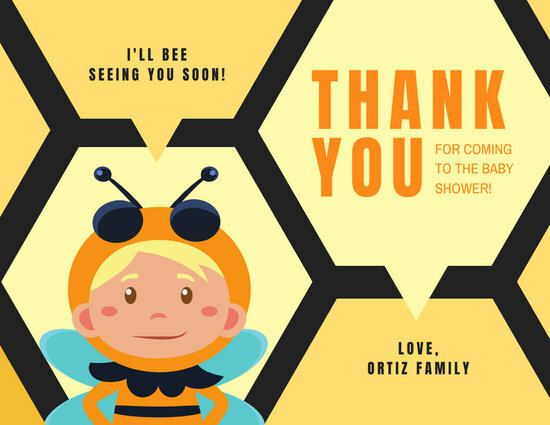 Or, you can upload and use your own images freely and easily to use on your design. 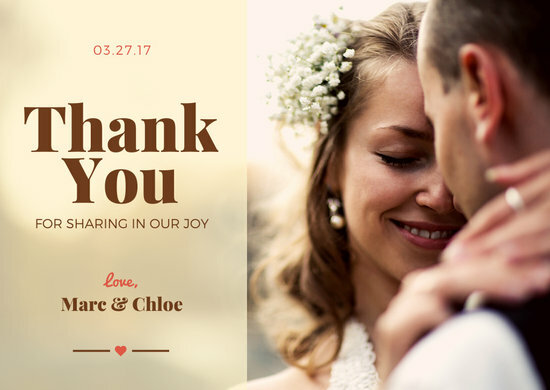 Choose from over a hundred beautiful fonts to send your thanks and take advantage of Canva's text holder to create lovely text combinations. 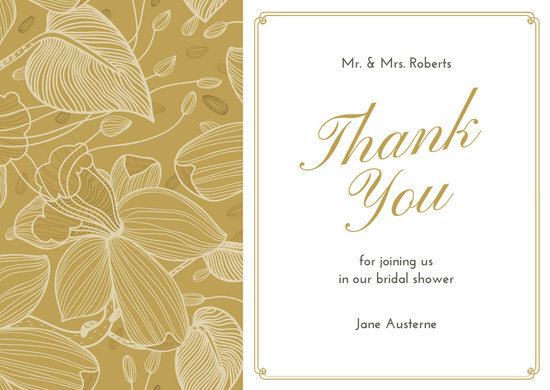 Customize or create background by choosing from different patterns, textures and images. 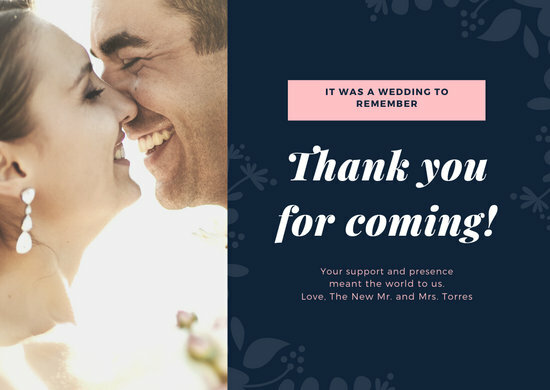 Once done, you can download your design as a high-resolution image or PDF file or send it directly to the person as a social media post or email.